In 1993, the Super Mario Bros. movie perfectly captured the childhood of so many in the “Nintendo Generation” by being full of disappointment, ultimately leaving them feeling as though they’d wasted a chunk of their lives. What it did not capture was the spirit of the game, or much of an audience—though, as with every kinda crappy thing that nevertheless evokes emotions associated with childhood innocence, it did eventually capture a “cult following.” Hence the development of a 20-years-later sequel in comic form that picks up where the movie left off in terms of story, and where the audience left off by being relegated to a small yet passionate corner of the Internet. Dedicated fans—and webmasters of the thus-far-unrivaled definitive Super Mario Bros.: The Movie Archive—Steven Appelbaum and Ryan Hoss have taken it upon themselves to expand on the film, consulting with one of its “at least 10” screenwriters, Parker Bennett, to fulfill the “sequel hook” ending of the original, and create an online comic they’re releasing at a rate of one page per week. “Super Mario Bros. provided a look into a world too rich and too original to not explore again. We knew that the original had its fans and felt that if we brought the Mario Bros. back to Dinohattan there would be an audience for that story,” Appelbaum said in what is probably true, knowing what we know about nostalgia, sure, why not. 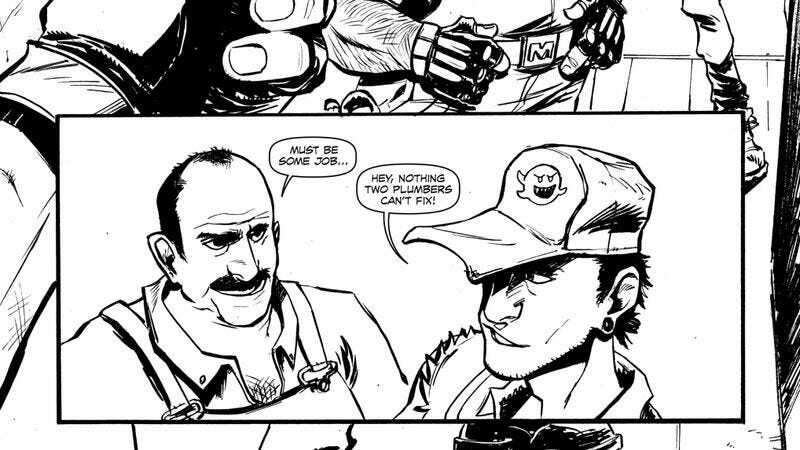 Anyway, you can check out the first pages here, which indeed bring Mario and Luigi back to Dinohattan, but in a way where Bob Hoskins and John Leguizamo don’t have to get drunk just to get through it.